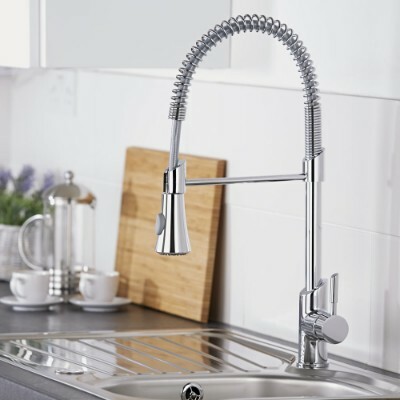 Give your kitchen an upgrade with one of our stylish kitchen taps. Available in contemporary and traditional designs, our kitchen tap collection has something to suit every requirement. 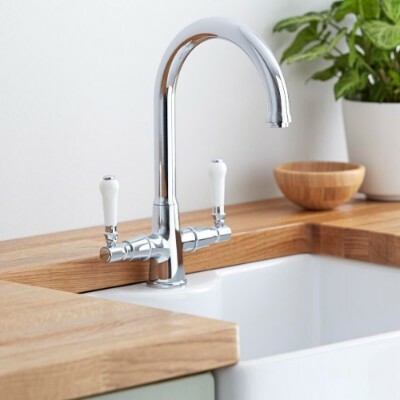 Whether you need boiling hot water in an instant with one of our boiling water kitchen taps or in need of a kitchen spray tap to make tasks easier, we have just what you need to perfectly suit your requirements. 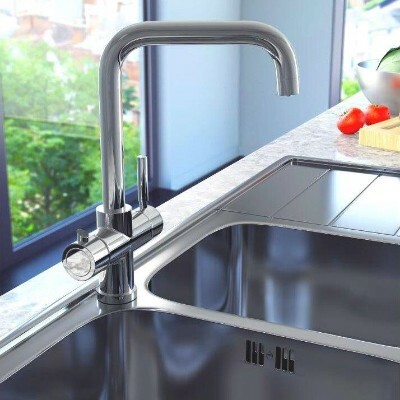 All kitchen mixer taps have a solid brass construction to ensure great durability, and feature a premium quality chrome, black or white finish to blend in with any décor. Our popular kitchen spray taps incorporate a pull-out spray, which allows you to rinse pots and pans with ease before putting them in the dishwasher - this style is ideal for adding a professional touch to your kitchen. 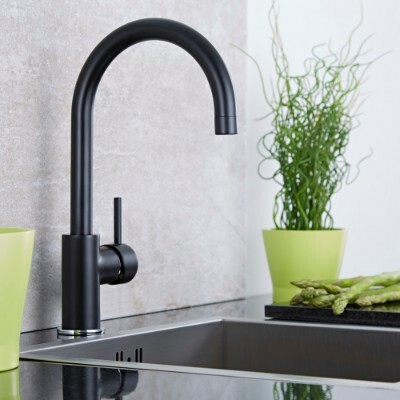 Our boiling water taps combine stylish looks with superb functionality, and will save you time when making hot drinks, pasta and so much more.